Costuming is my hobby, and by now I spend a lot of money on it, I can't help it. At the same time I want to make it clear that it is possible to do costuming on a limited budget, I started when I was a student and didn't have much money to spare, and I've seen gorgeous things done on a shoe string budget. it's only possible to pick two out of three though. This post is my reflections on the cost of costuming, and what the alternatives are, remember though that I only deal with Star Wars and historical costuming from the 18th and 19th centuries, I have no idea for example what it costs to put together an anime or manga costume. Also for all my costumes I've sewn them myself, meaning that I've only counted the cost of fabric, I've never hired a seamstress to do it, something that I know is common and of course gives a costume project a different price tag. I started out with Star Wars and here you have so many costumes in all price ranges. A general rule of thumb is that armoured costumes are more expensive than fabric costumes. For that reason rebel costumes tend to be cheaper than imperial costumes. Also since the first films were made on quite a low budget it's easier to find things in the real world that you can use, compared to the prequels where basically everything was made specifically for the films. 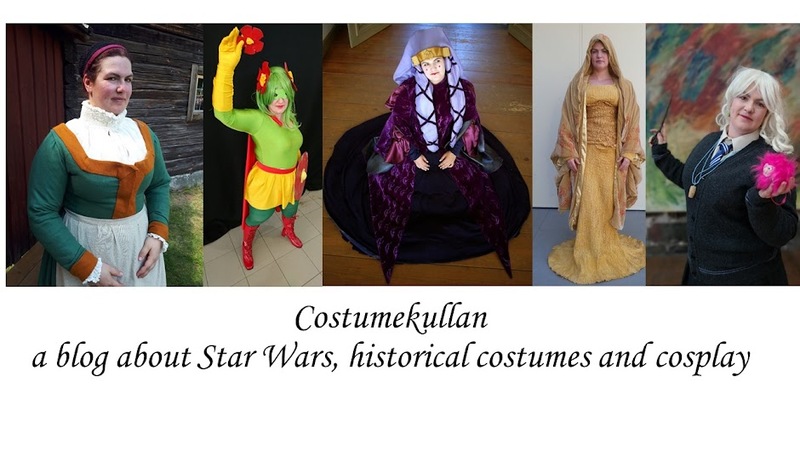 I have made good looking Star Wars costumes for under $100, but I would say that most of my costumes are somwhere in the $100-300 range, with Queen Amidala probably around $500-700. These are only estimates. The cheapest costume is Princess Leia, where most of the cost has actually been paying for wigs/fake hair. If you are a natural brunette this is a cost you wouldn't have to worry about. In fact the fabric for Leia's classic white gown was a cheap typical 70's polyester, that isn't even made anymore. As a comparison a Darth Vader or Boba Fett can end up way over the $3000-5000 range. 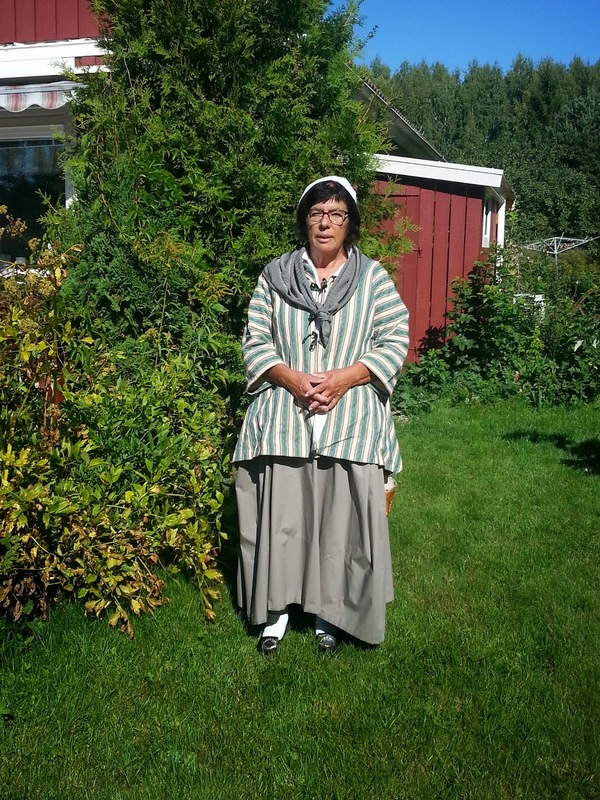 When it comes to historical costuming there are a lot of choices to make. What time period, what class in society, can you accept using synthetic fibres? In historical costuming it's actually quite easy to work on a very low budget. I've scrounged my mother's curtains, thrift stores and the like to find suitable fabrics. Today there are a lot of beautiful brocades and the like made in synthetic fibres that cost a fraction of what accurate silks cost. The cost that's hard to escape is the cost of the underwear. You need a proper corset to wear under it all to make it look good, and unless you are very thin and have no curves, there is, in my view, no alternatives to using proper boning. Still I count that the material costs for a good corset usually end up around $50 for me. It's when it comes to historical costuming that I've seen my costs go up, up and up though. The reason for that is that after I've tried my hands on working with pure linen, cotton and silks, I simply can't go back. There is something about the feeling of those materials, and the way that they behave when I'm working on them, that I just won't be able to make something out of polyester again. Also it's much more fun to make clothes for the upper classes, and then I want to use silk and nice cottons or linens. As a comparison here are probably my two most accurate historical costumes. Here is my mother in my cheap, but accurate costume. She isn't wearing any stays or other underpinnings, since it's a loose fitting jacket. The cost of the material was probably around $10 for the skirt, but the striped fabric for the jacket were a pair of worn out curtains that I got for free. This would still be an appropriate dress for lower upper class or upper middle class women, so it's not a working woman, but it's not exactly something you would wear to court either. Then there is Snow White on the other end of the spectrum. The materials for this one cost probably around $150, excluding the wig. I also made a new pair of stays and new petticoats for this outfit, but I don't count them into the total since I can use them for other outfits as well. This is totally an upper class gown. Other costs that come up, but I see rather as investments, are the tools needed. 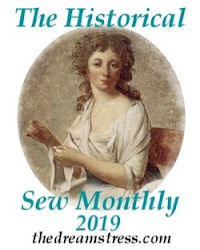 If you want to make everything historically accurate pre 1850 then of course you sew everything by hand, but otherwise a good sewing machine is very useful. I'm on to my second sewing machine since I started, thankfully I've gotten them as presents when the whole family has teamed up for them. The thing is though my first sewing machine was a basic one, and I could never make it do what I wanted. I thought it was because I was pretty much a novice, but since my mother has my old machine now I've tried it there and it simply isn't good. My second machine, and then one I'm using now, is actually a second hand from my sister. It cost probably twice as much as my first, but it's still a non-digital machine with just the basic seams. My sister and I calculated that she must have bought it 12-13 years ago. It's been serviced twice, but I have also put it through some dreadful things, and it still works really well. I guess what I'm trying to say is that if you are going to buy a sewing machine it's worth the extra cost of getting a good quality one. Another investment that I need to do this year, and I'm thinking about doing it as a birthday present for myself, is a dressform. I've managed without one up until now, and I know so many people that can make gorgeous things without one, but in order for me to get better I think I need to be able to pin and drape fabric onto something else, not just try it on myself. One cost that also has a tendency to go up is travel expenses I want to use my costumes, and that means traveling all over Sweden, Europe and the USA. 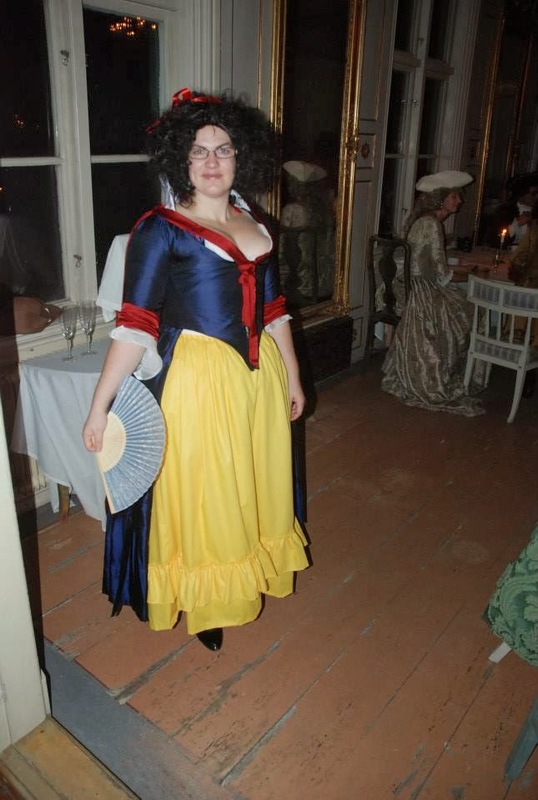 Even for a small event in Sweden it usually means taking a day off work, so I can travel on Friday, paying for train tickets and hotel, and then you add food and drink to that.One big reason why I do costuming though is because I love wearing the costumes and meet other like-minded people. The cost for balls and conventions are so far a lot higher than the costs for the costumes themselves. When it comes to how I choose between fast, cheap and accurate, I definitely go for cheap or accurate, or I at least try to divide my costs so that I don't have to pay for everything at the same time. I buy one piece of fabric one month, and another piece another month. It takes longer time, but I've learnt the hard way that I'm going to value what I do a lot higher if I spend the extra cash on say a pure silk rather than a polyester. I also like the planning process so I don't mind if it's usually quite drawn out, this of course also means that at the moment I'm already considering costumes for 2015/16.